Three different brands were released during the initial Speed Champions wave and the range has since expanded fairly rapidly. 75893 2018 Dodge Challenger SRT Demon and 1970 Dodge Charger R/T introduces an additional classic marque that joins this successful theme, Dodge. Considerable expectation accordingly rests upon this set, particularly since it includes a Dodge Charger R/T from 1970. 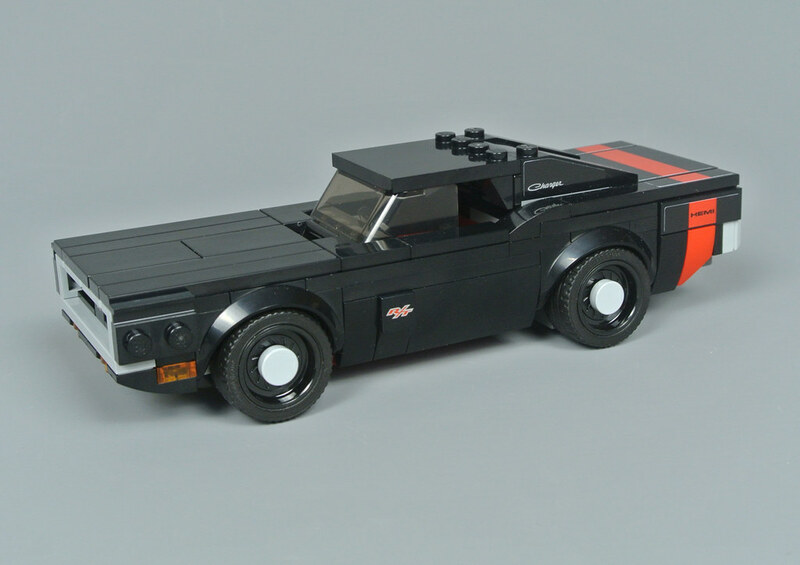 This famed vehicle has always been extremely popular but became even more prominent following appearances in the Fast and Furious film series and I think both cars look superb in official images. 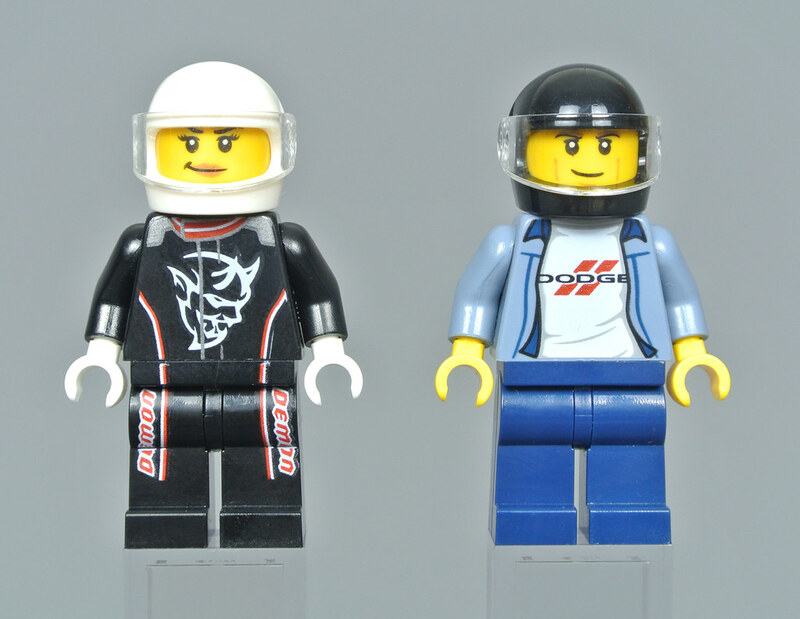 Two drivers are included and they are dressed for their respective cars. The female driver wears black racing overalls with red highlights and demon motifs on each side, matching the stickers on her Dodge Challenger SRT Demon. I think the helmet could have been decorated too but this plain white element looks reasonable beside a pair of white gloves. I am especially pleased with the second driver, whose shirt is decorated with the Dodge emblem. 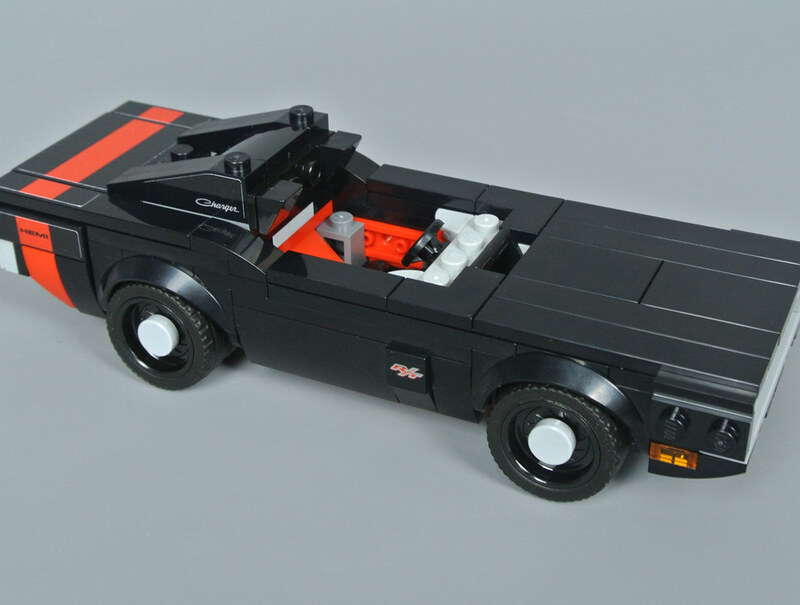 This torso appears rather versatile and could be used outside the Speed Champions theme, potentially in a city creation. The head was originally produced for Chase McCain from 60007 High Speed Chase and includes some excellent cheek definition while the black helmet features a hinged visor. 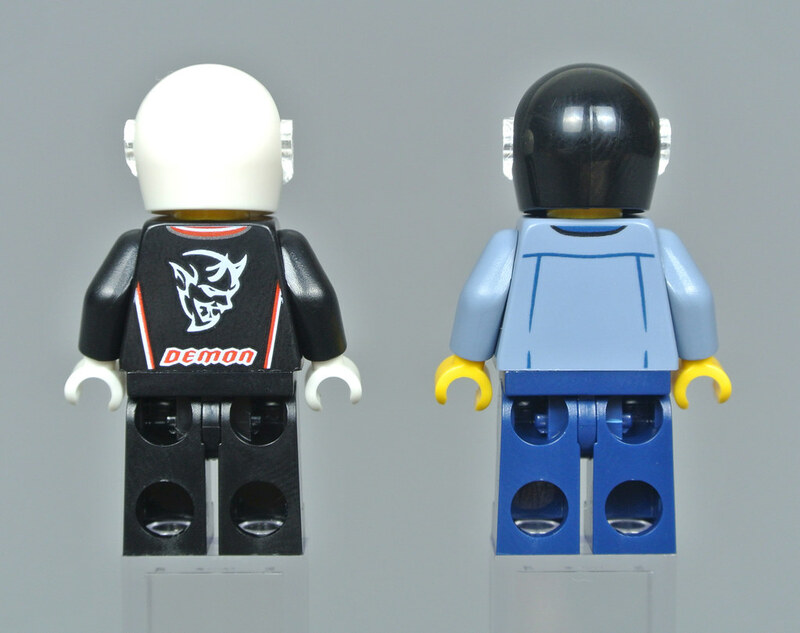 A race official completes the minifigure selection. 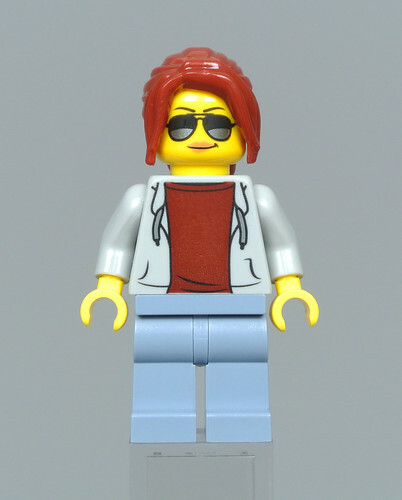 This minifigure appears comparatively plain, wearing a light bluish grey jacket and a dark red shirt which complements her hair piece. Her tinted sunglasses look striking but there is no alternative expression, unfortunately, so this character is always smiling. The official carries a chequered flag with stickers on either side. 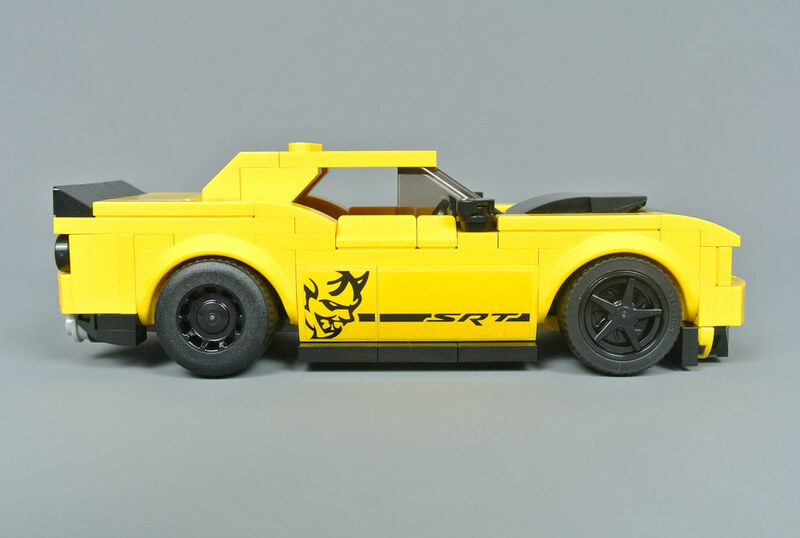 Its design is superb but the continued use of stickers is surprising, particularly since such accessories are very common across the Speed Champions range. A printed element would therefore be preferable. Drag races are traditionally started using a Christmas tree lights system, comprising seven lights which are arranged vertically and lit in sequence. 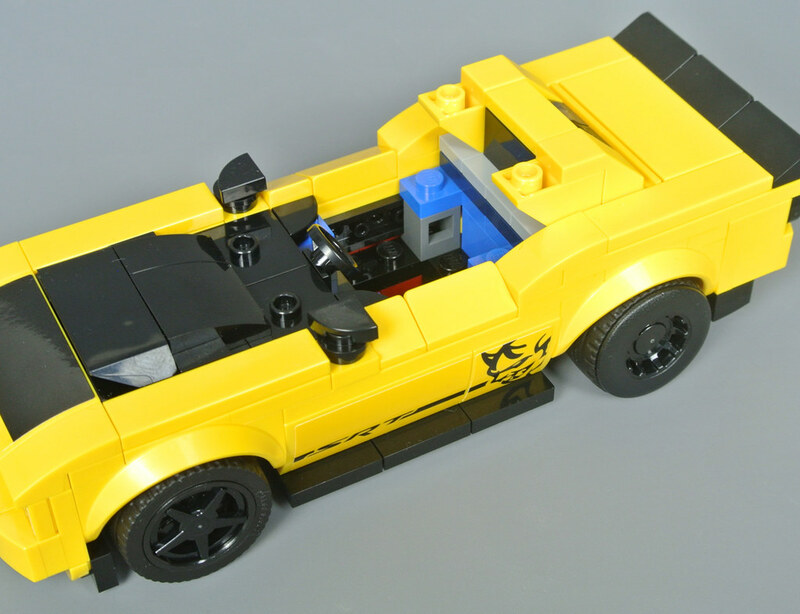 Similar models have appeared in previous sets from Speed Champions, including 75875 Ford F-150 Raptor & Ford Model A Hot Rod, but this design is distinctive and seems more realistic than its predecessors. The colourful lights are accurately ordered and I like the stickers denoting the 'pre-stage' and 'stage' bulbs which light as cars reach the starting line. Not only does the Christmas tree look marvellous but it includes an enjoyable function too. 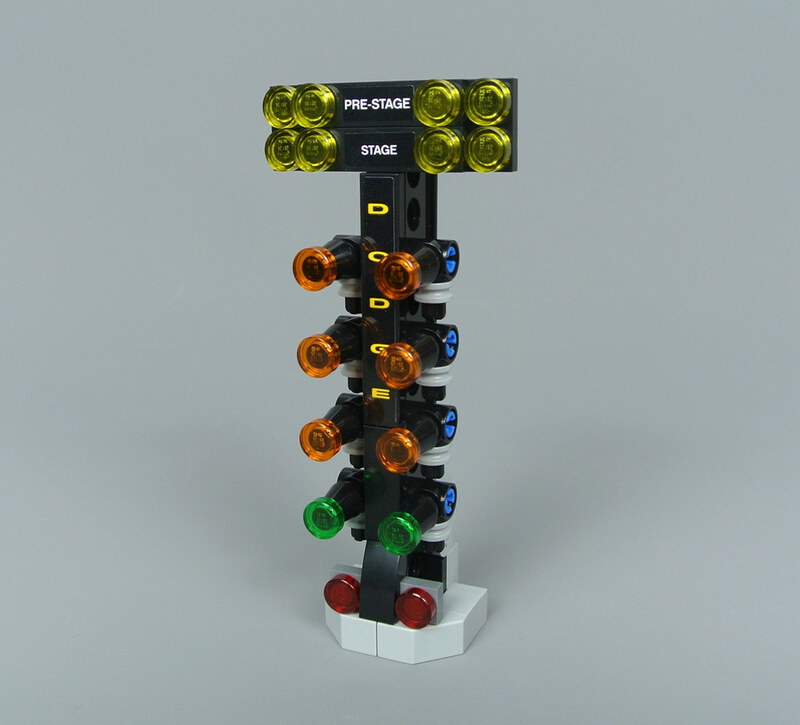 The lights can be activated in sequence by moving a Technic piece along the back of the model, as shown here. 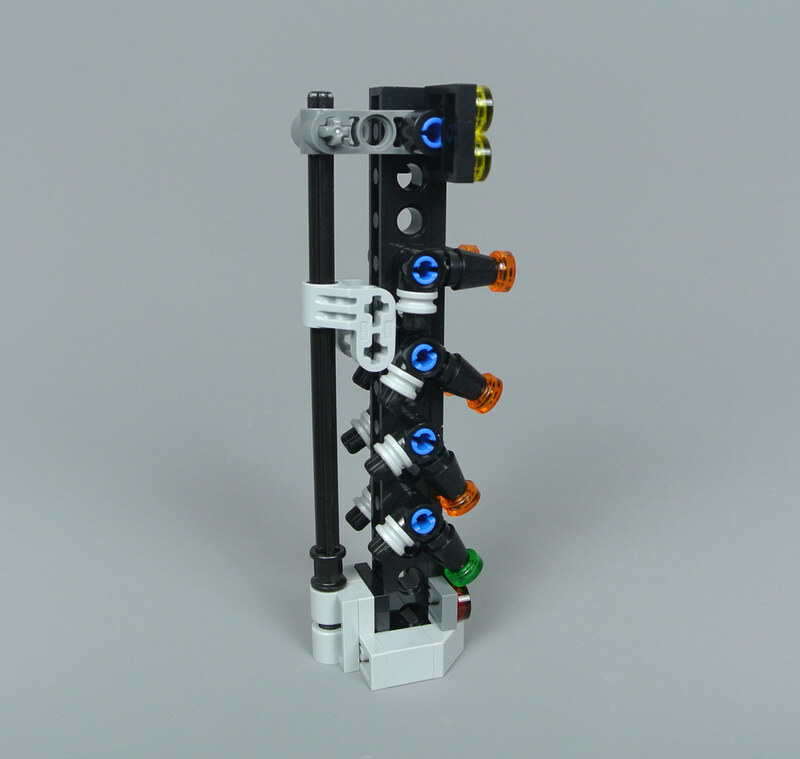 This mechanism is very simple but raising each light is a good representation of them being activated and the Technic elements are incorporated neatly. You cannot actually move the line infraction light at the base but I appreciate its inclusion. This set contains two vehicles which are separated by almost fifty years in their design. 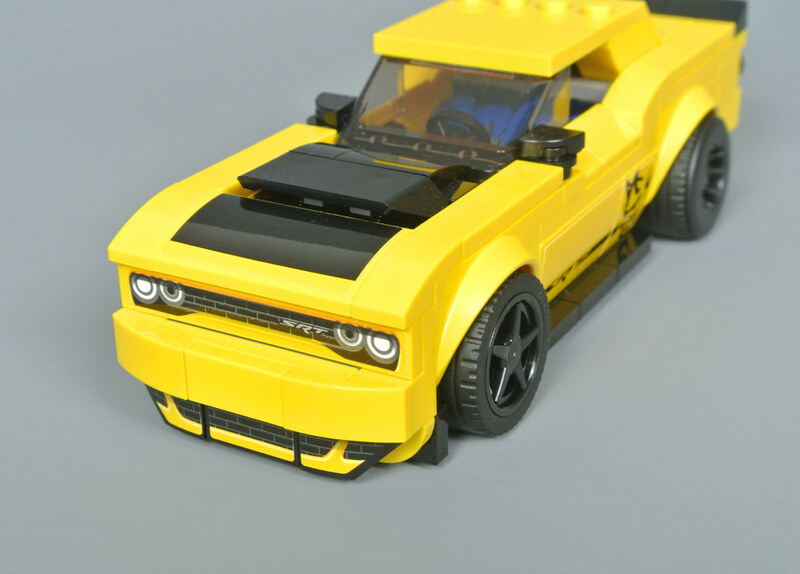 The yellow car is a 2018 Dodge Challenger SRT Demon and I think this model looks marvellous, capturing numerous features of the original design and standing out within the Speed Champions range. 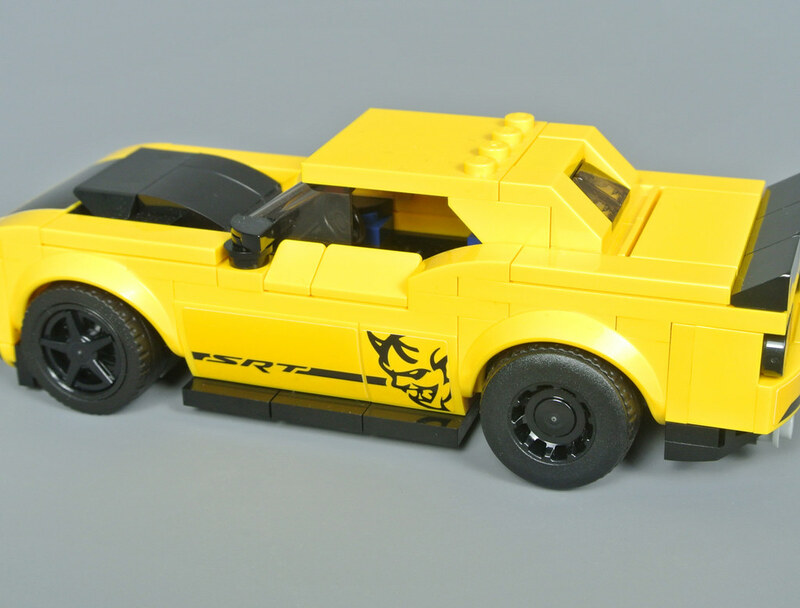 This bright colour scheme has only appeared once previously on 75870 Chevrolet Corvette Z06 and works effectively in combination with black highlights. Viewing this model from the side reveals a couple of inaccuracies, most prominently towards the rear where the roof seems rather angular. The wheel positioning is not ideal either as I think the bodywork should extend slightly further beyond the front wheels. However, this is still an excellent model on the whole as the Demon's general shape has definitely been replicated accurately. I am particularly impressed with the air scoop situated on the bonnet. This appears realistically subtle and is cleverly constructed using a black spoiler element, creating a narrow intake. A matching sticker is applied in front of the scoop and further stickers form the radiator grilles across the front. Ideally, the radiators and headlights would have been brick-built but I think the current design looks good. Demon emblems decorate either side of the vehicle. These appear on relatively few real vehicles but are a welcome inclusion in my opinion as I think the smooth doors might otherwise seem rather bland. Unfortunately, the windscreen and roof both look quite angular so do not compare favourably with the source material, although the door mirrors are somewhat helpful in disguising this flaw. The roof can be removed to reveal seating for one minifigure inside. This area is cramped but there is enough space for a simple steering wheel and I can imagine it would be difficult to expand the interior without compromising the exterior. The bright blue elements seem out of place to me, although these are hardly visible when the roof is attached. Dodge has been producing Charger models for more than sixty years but the most popular variant is probably the 1970 Dodge Charger R/T, hence that was chosen here. 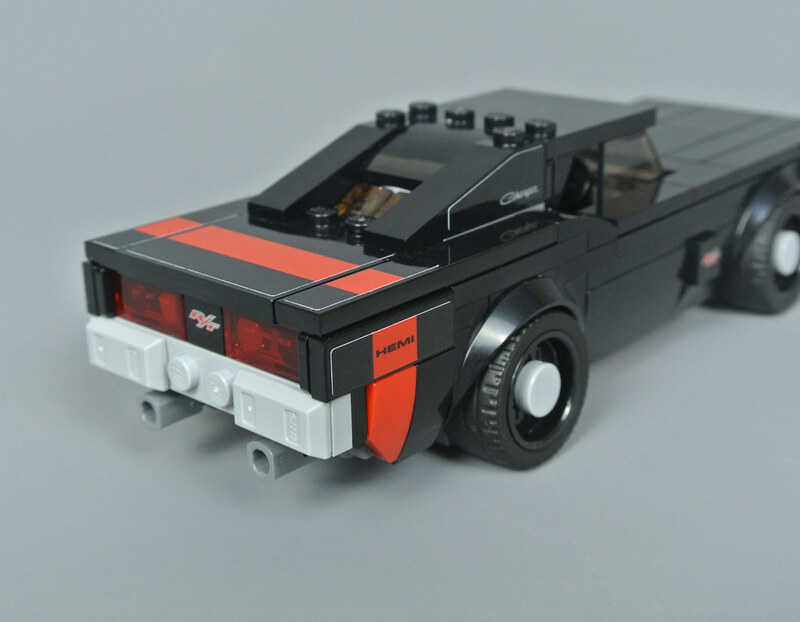 Its rectilinear appearance seems perfectly suited to LEGO and I think this rendition looks magnificent, consisting almost entirely of black pieces but incorporating red stripes across the quarter panels. The model looks incredibly simple when viewed from the flanks, featuring a perfectly smooth bonnet and clean roof shaping. That closely resembles the actual Dodge Charger though, lacking only some downward curvature towards the front. I believe it would have been extremely difficult to capture such subtle details at this scale so am very satisfied with the vehicle, despite a couple of minor inaccuracies. Light bluish grey brackets and a 1x6 tile form the trim surrounding the radiator. This looks absolutely fantastic when compared with the source material and I like the printed 1x1 tile inside which features the R/T performance marker. The same piece is found at the back and on both sides of the model. 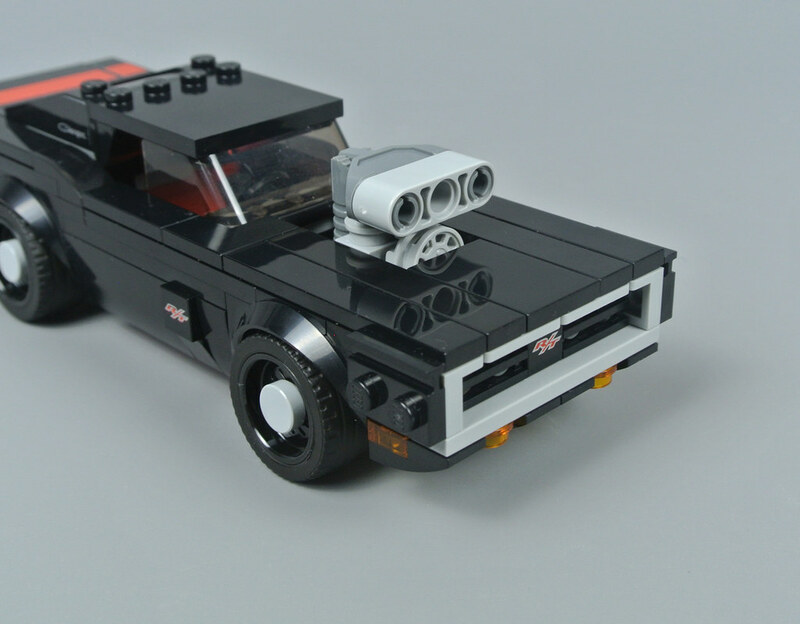 A section of the bonnet can be removed and replaced with an enormous supercharger, drawing the car closer in appearance to Dominic Toretto's Dodge Charger from the Fast and Furious franchise. Removing a smooth body panel presents certain challenges as there is no room for a handle. Instead, the designer has cleverly included an open area behind the bonnet, allowing it to move backwards for removal. This works perfectly and you can also remove the roof to reach the interior. Some bright red pieces are visible in here but they complement the stripe towards the rear. That stripe consists primarily of stickers which line up nicely, although there is a narrow gap on each quarter panel. Trans-red 1x2 tiles form the rear lights and the model includes two exhausts which are connected using clips underneath the bodywork. A new wheel arch was designed for the 2018 Speed Champions range and is exclusively available in black here so this might prove useful elsewhere. 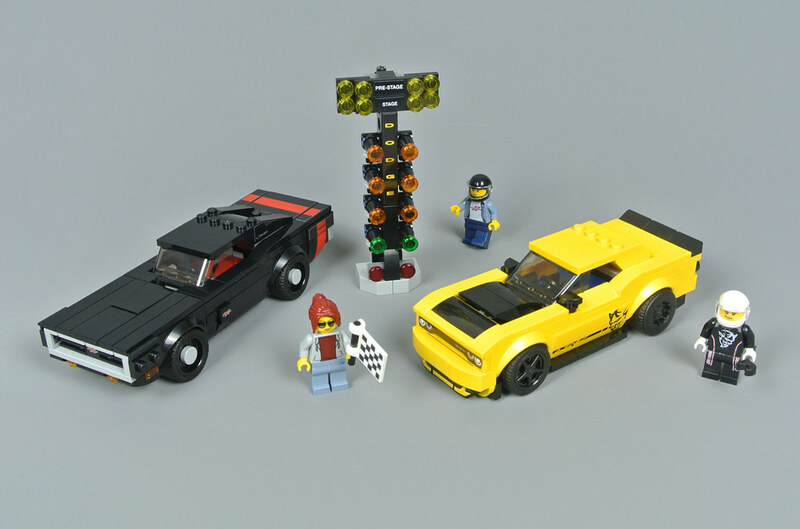 75893 2018 Dodge Challenger SRT Demon and 1970 Dodge Charger R/T is an excellent addition to the Speed Champions theme. Dodge is definitely a popular brand and its production cars are entirely different to those which have appeared in previous sets. Both models are impressive but I expect the 1970 Dodge Charger will prove particularly enticing as it looks almost perfect in relation to the actual car. In addition, the Christmas tree starting lights are surprisingly enjoyable and this is among my favourite auxiliary models from across the whole Speed Champions theme. This set costs $29.99 in the US and that seems very reasonable to me so I would recommend adding it to your collection. £34.99 in the UK is a less appealing price but I still think that represents adequate value, even without a discount. The car on the left—what in the world? Have you ever seen something more boxy looking?? I didn’t know Chase McCain was a race car driver. @ Your future president. I didn’t know Chase McCain was a race car drive reither!!!!! ^^ Boxy boxy yes.. I'll get this set eventually because I like the Speed Champions series a lot, but it's my least favorite of the 2019 releases. Great review!! I think the 1970 Dodge Charger R/T is AWESOME I want the set so much I mean anything retro I will LOVE it. so? Uhh....AWESOME!!! @ your future president and profbrick489 yeah? I didn't know that chase McCain was a race car driver! I have this set and it was a fun build from start to finish. And as nice as the photos for this review are the cars look amazing in person. I will probably get this set, although I feel the 2018 Challenger SRT Demon could have been designed better. I just don't feel like it compares favorably to the source. I believe the female race driver is based upon NHRA Top Fuel and Factory Stock Showdown racer Leah Pritchett. The SRT looks great, but isn't the Demon supposed to be red? The four studs wide passenger compartment looks too narrow for the Charger. This set was an immediate purchase for me. The only mods I made were to remove the red from the haunches of the Charger, give it some rims and shorten the trunk on the Challenger. The Challenger will eventually be recycled into something new, but the Charger is awesome just the way it is. The SC scale works well for vehicles from the 50's to the 70's. Having recently finished this set, I will say it looks and feels much better in hand than in pictures. Just something about it really pops in person. This set is my least favourite from the latest wave. The charger looks amazing.... and the challenger looks horrible. I kind of like the challenger's mirrors at least. I Really like the Speed Champions series and these 2 cars hits my soft spot. 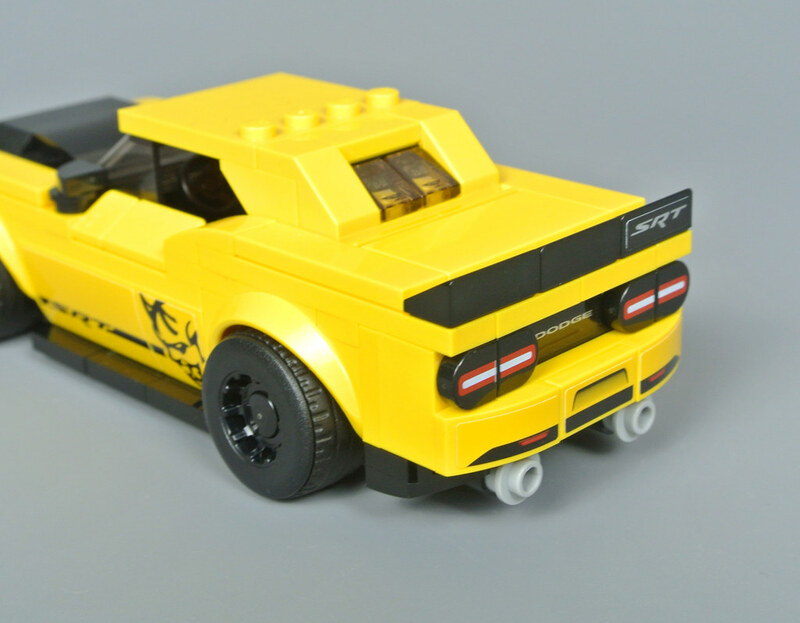 I am not a Speed Champions collector but the initial pics of this had me thinking of buying, but the close up pics have put me off completely. The completely flat bonnet on the RT looks awful and that is really the one I wanted, what a shame. 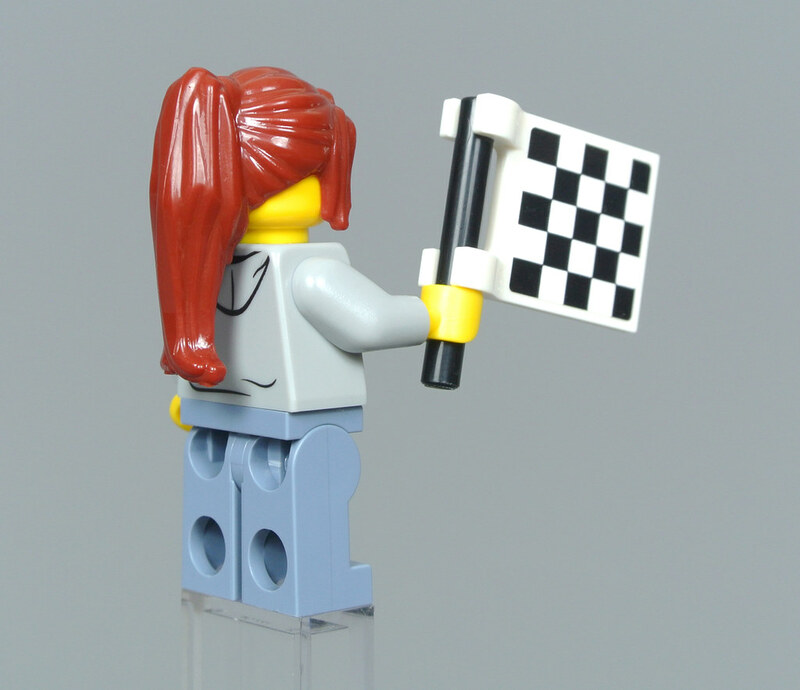 @Duq - I am aware that a printed chequered flag is available and it continues to appear in Friends sets. However, I am surprised that the existing piece is not used more consistently within the Speed Champions theme. No reputation has been improved by an appearance in a Fast and Furious movie. Although I suggested the F40 or Senna (I already got the Camaro for myself) my partner got me this set for my birthday, and I couldn't have been more pleased. I already have the Dodge set on my desk alongside the Camaro NASCAR and 2017's GT40. Speed Champions really knocked it out of the park this year; between this, the 3 standard cars, and the Mini set there's not a single one I don't want in my collection. I've never liked the look of the real life 1970 Dodge Charger. The grille just looks goofy, like a huge mouth with chrome lips. The first time I saw it, I wondered something along the lines of why they stopped designing the car when they got to that part. Aside from my general beef with the SC theme's inability to seat two minifigs side-by-side, this model in particular makes my eye twitch. At a recent display, someone from my LUG asked me how to fix the horky front quarter panels, and after spending some time looking at it I told him I didn't see a way to pull it off. And that's not even addressing the fact that the 1x2 rail plate does an imperfect job of hiding the "chrome" grille from the sides. Yes, it covers the bit at the top, but you can still see it below the rail plate a tiny bit. We have another display coming up. Maybe I'll take another look at it and see if there's a better fix. Maybe there's a non-purist solution to fix the ugly. Great set. 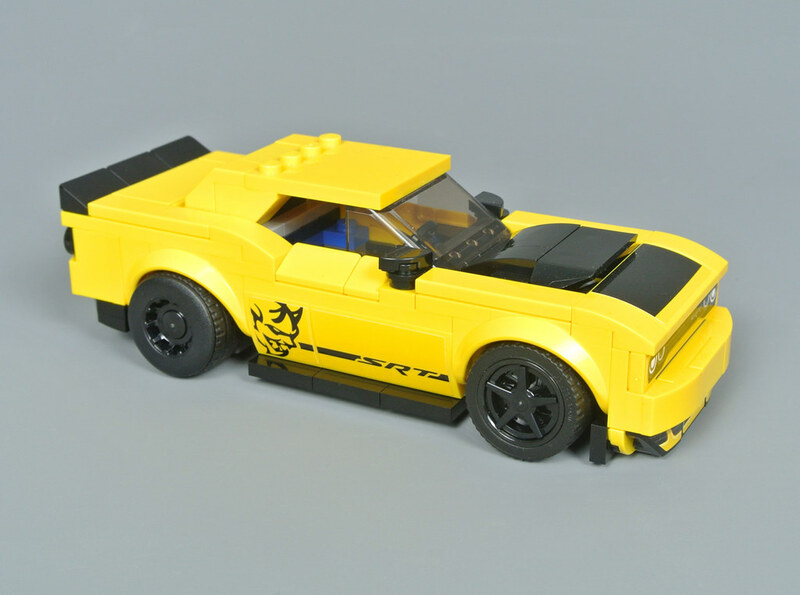 Hope they release a modern Charger, perhaps the Hellcat or Daytona model, at some point in the Speed Champions line as well. I love that they're both "street" cars which aren't cluttered w/racing stickers. Easy to plunk down in my city :) Certainly a "Must Have" set! @Your future president: Chase McCain is whatever he needs to be to take down Rex Fury! I like the rear view mirror construction for the Challenger! Very good review thanks. I will probably be picking this set up but the cheaper single car sets from this wave are possibly a bit more appealing to me so may not be an immediate purchase. i got this set when it first came out, for some reason target was selling it for $23 and the nascar one for $11 the day of release (USA prices) and yes they look way better in person, really have grown fond of the speed champions series. 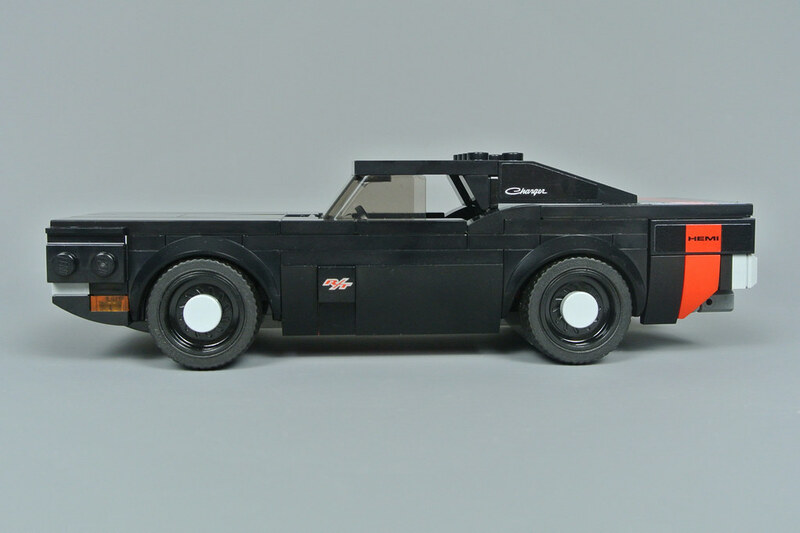 I'd probably buy this set if it were just the '70, but this really makes me want a larger-scale '70 Charger now. Fingers crossed. I gotta say, the 1970 Charger looks period perfect parked in front of the Pool Hall of the 10246 Detectives Office. It takes the sort of 30’s film noir setting and boosts it to a ‘70’s Mean Streets or Goodfellas vibe.